2.3 Devs confirm, having fun! 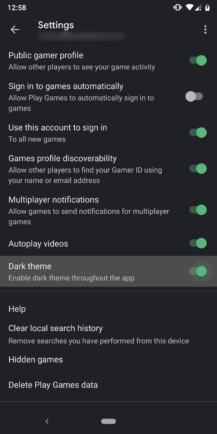 We've known it was coming for a while, and now the dark theme is officially live in Google Play Games. According a few reports, it began appearing a few days before the latest version came out, so the switch was probably activated remotely around the same time as the update began rolling out. 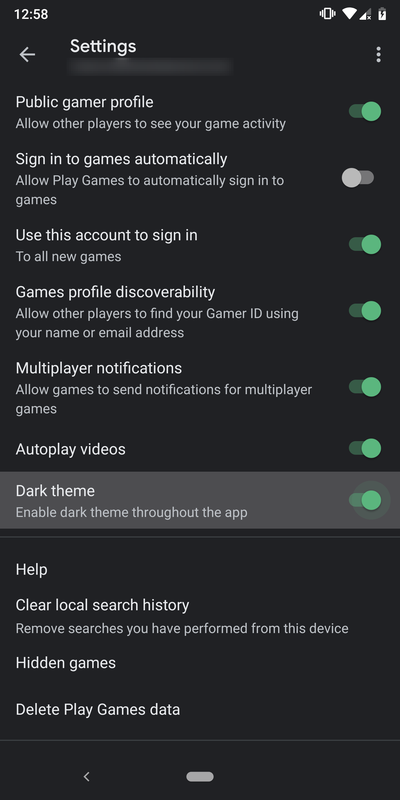 To enable the dark theme, just open Settings from the overflow menu, then look for the Dark Theme toggle about halfway down the screen. If the switch isn't there, try force closing Play Games and relaunch it. 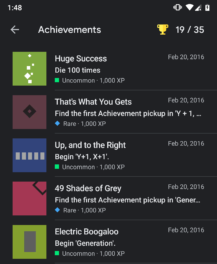 Back in September, Play Games began showing rarities on achievements so players have a sense of just how many, or how few players have been able to cross some of those finish lines. 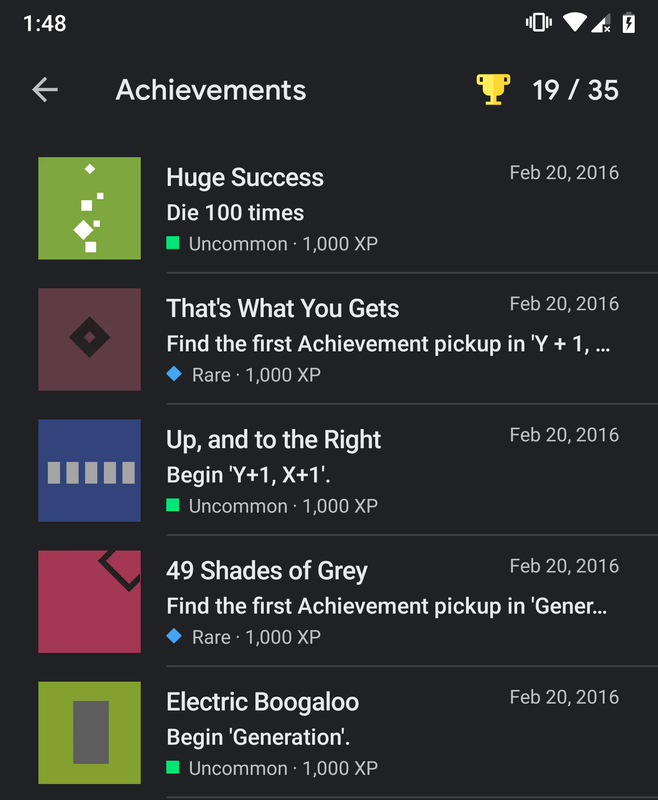 According to the official changelog, it's now possible to sort the list of achievements based on rarity. I'm not sure if I've missed that functionality, but it doesn't actually seem to be available to me in the app yet. Perhaps this will be activated remotely, or maybe it's part of an update that hasn't been released to the public yet, or maybe everybody else has it but me. ¯\_(ツ)_/¯ Whatever the explanation, we'll surely see this pretty soon. 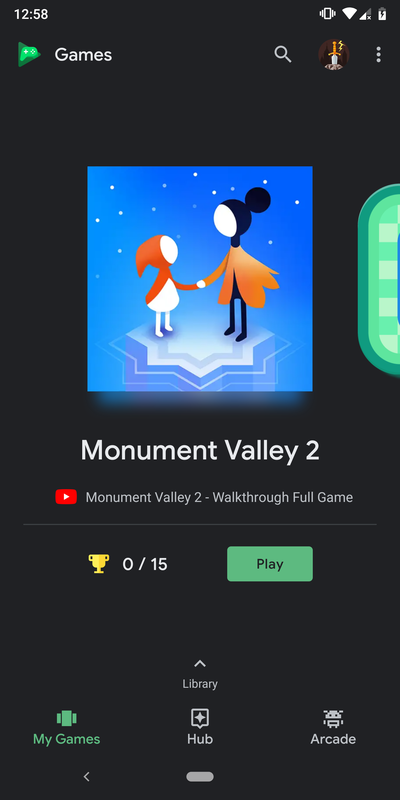 The built-in games now have a bit more character to them. 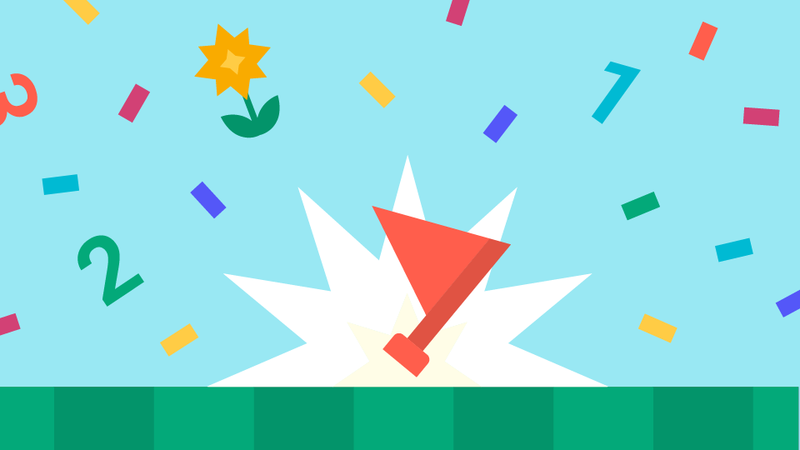 When you scroll through the carousel to one of Google's own games, they'll begin animating in cute ways. Each has its own twist, and they're adorable enough to be worth watching more than once. I know this isn't exactly the most highly trafficked way to launch games, but now I kinda want to see a way for third-party games to add their own animations. 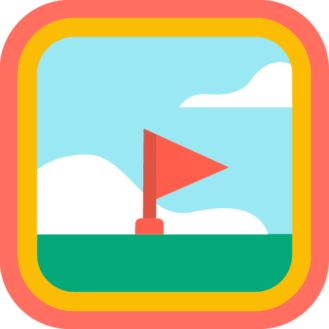 Admit it, the Monument Valley icon animated in this style would be nothing short of amazing. At some point during most of our lives, we've been stuck at a Windows computer with nothing to do besides play Solitaire or Minesweeper. 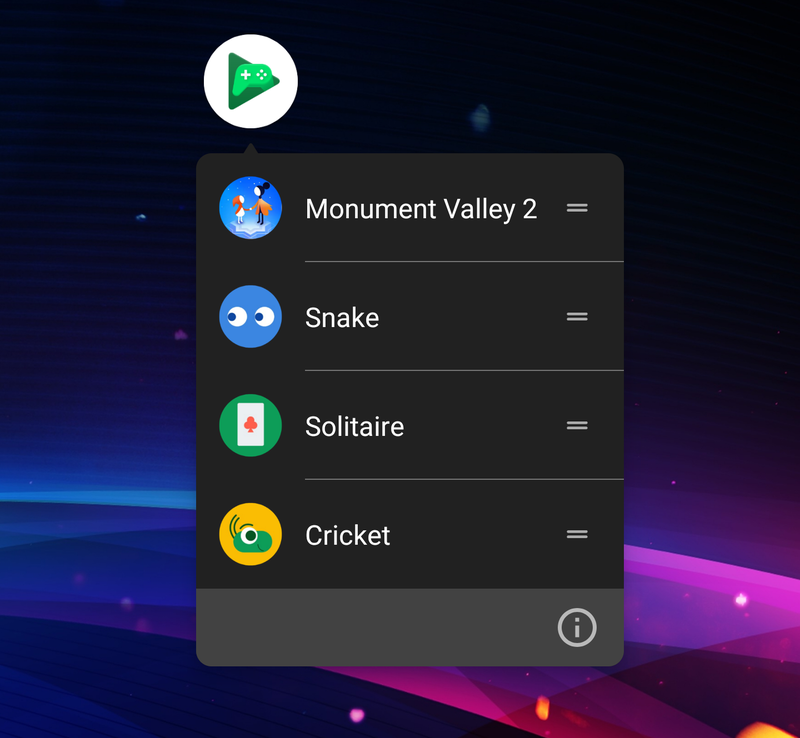 The dev team behind Play Games is well aware of this, and as part of a redesign, also added Solitaire along with two other classic mini-games at the end of last year. Now they're going back to tackle the venerable Minesweeper. You can see a banner and launch icon above, but there's not really much to see beyond that. Minesweeper doesn't appear to be live yet, at least not for me, but I can't say for sure that it won't be turned on remotely at almost any time. I'm not actually sure if this one is new, but a few new lines were added that point parents to Google Family Link for configuring how accessible their children's gaming accounts are. 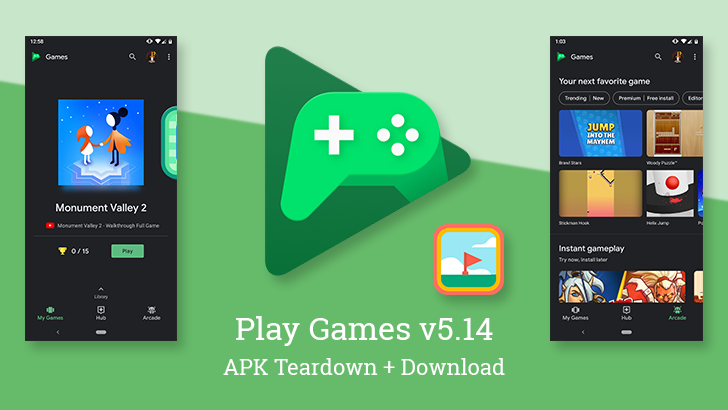 They can control if other players are allowed to see game activity or if other players can search for a Gamer ID based on name or email address. 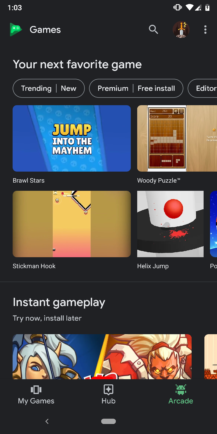 Google's developers know what's up, and they know there's room to play. I mean, this is the Play Games team, how crazy would it be if they didn't take some time to enjoy their work. If there were any doubts, set them to rest. Somebody inside the team is letting us know that they're having fun while they work. These lines are labeled as easter eggs, and one even shows there's a "pointless side project," so there may actually be more hidden away. I've only had time to give a cursory look, but I don't see any signs that the code referencing these strings is actually used — which might mean it's just there to prevent build optimization from removing them from the final APK.